Low back pain affects almost 80% of adults in the United States at some point in their lives. While back pain is mostly unavoidable, there’s a lot you can do to alleviate the pain and prevent it from returning. 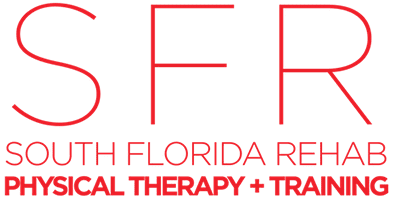 The physical therapists at South Florida Rehab and Training Center (SFR) in Miami, Florida, offer the latest equipment and techniques that will have you moving about freely, and without pain, again. To learn more, call or book an appointment online. In discussing the causes underlying low back pain, it’s helpful to understand the anatomy of this area of your back. Your low spine, which is also called your lumbar spine, is made up of only five vertebrae that connect your sacrum to your midback. While few in number, these five vertebrae are responsible for almost all of your motion and support, making your low back the hardest working part of your body. While this list is by no means comprehensive, it serves to highlight the main culprits behind low back pain. If you’re experiencing low back pain, physical therapy provides an excellent solution for treating the pain and strengthening the area to help you avoid problems down the road — all without having to resort to potentially harmful painkillers and surgeries. After just a few sessions you could be moving about more freely without the pain and stiffness associated with low back pain. To alleviate your low back pain and learn about more great back pain prevention tips, call South Florida Rehab and Training Center or book an appointment online.